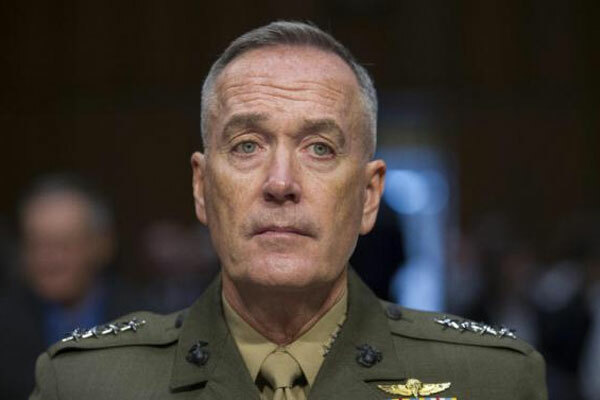 Chairman of the Joint Chiefs of Staff Gen. Joseph Dunford wrote a Medium blog post Monday to remain committed to its military oath amid the 2016 election. “What we must collectively guard against is allowing our institution to become politicized, or even perceived as being politicized, by how we conduct ourselves during engagements with the media, the public, or in open or social forums,” Dunford reminded troops. Dunford’s comments also come amid increased concern that the U.S. military is becoming too politicized. He is reportedly furious with Retired Marine Gen. John Allen and Retired Army Gen. Michael Flynn for actively campaigning on behalf of the Democratic and Republican presidential nominees. Former Chairman of the Joint Chiefs of Staff Gen. Martin Dempsey openly rebuked Allen and Flynn for injecting themselves into the political process. The letter is also likely addressing recent political statements by active duty service members on social media. A female sailor posted a video of herself sitting through morning colors in protest of supposed racism in the national anthem in August. The protest video was inspired by 49ers quarterback Colin Kaepernick.